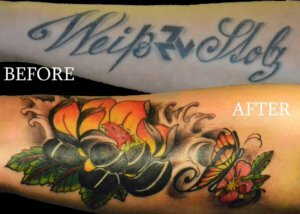 Tattoo cover-ups is the act of tattooing over a previously unwanted tattoo with a new tattoo. 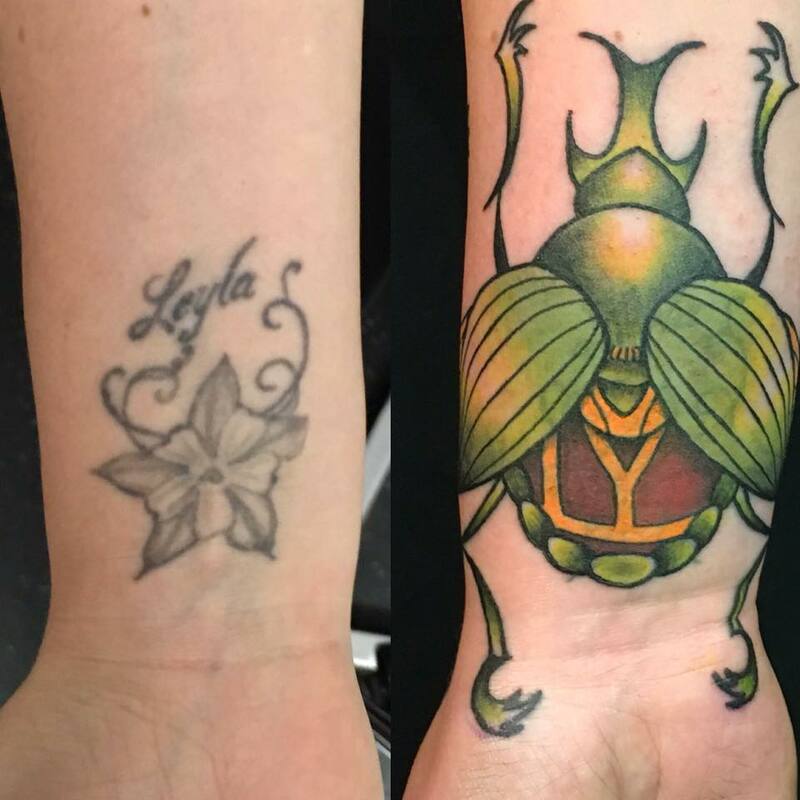 It is usually seen as being one of two options of removing an unwanted tattoo; the other option being laser removal. Covering up an unwanted tattoo is cheaper than tattoo removal. Poorly applied, faded, or light tattoos are the easiest to cover and can only be covered up using the same or darker ink. 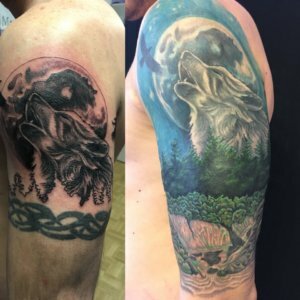 White ink may sometimes be applied to lighten the old tattoo before proceeding with the cover-up. 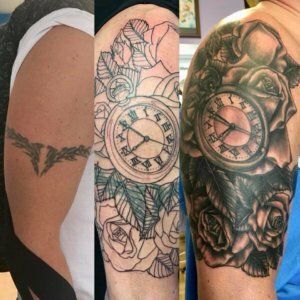 Cover-ups could completely hide the old tattoo with a new design, or the cover-up could incorporate elements or the whole of the existing tattoo.